What does the New U.S. Tax Law Have to Do with Sexual Harassment? 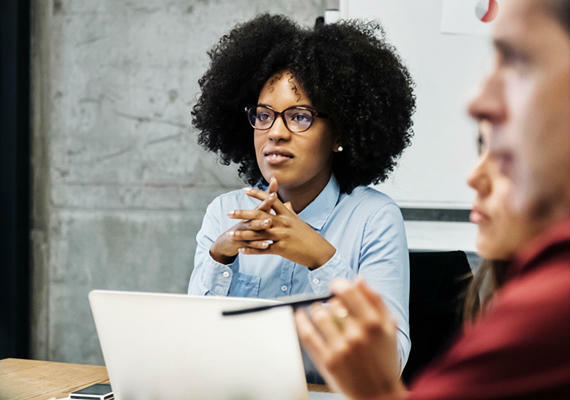 Understand what the new U.S. tax code has to say about settling your business’ sexual harassment claims, and how EPL coverage plays a major part in protecting your company from harassment allegations. Claimants of sexual harassment may now find justice in the most unlikely of places - the new U.S. tax law. The tax plan, already signed into law, is likely to bring even more sexual harassment claims to light. Under the old law, harassment settlements and legal fees were deductible as a business expense. This allowed managers and executives to sweep misdeeds under the carpet, without a big cost to the company. The new tax law denies deductions for confidential sexual harassment or abuse settlements. Now, to deduct a settlement, businesses will have to publically disclose it first. Dubbed the “Harvey Weinstein tax,” this new rule means quiet settlements will no longer avoid damage to a business’ reputation. Like the new tax law, employment practices liability (EPL) coverage has transformed with the times as well. An EPL policy helps shield organizations from the cost of rising claims of harassment, discrimination and wrongful termination. Because employees and other plaintiffs win as many as 67 percent of these cases today,1 EPL coverage is no longer a luxury, but a necessity for businesses small and large. EPL policies are duty to defend policies. With duty to defend policies, insurance companies take over the lawsuit defense and select legal counsel for their policy holders. The insured often has no choice in the law firm selected to defend the lawsuit. This is often a surprise to the insured, who may have their own local legal team they typically deal with for HR-related matters. To get around this, you’ll have to negotiate a different type of EPL policy, which could mean increased cost to you. EPL policies are claims made. Defense and settlement expenses on a claims-made policy are covered only within the policy limits. This means if you have a $1 million limit on your EPL policy, that’s all you’ve got to defend yourself and pay damages. The rest is on you. This is unlike auto coverage, for example, which will defend you even if the cost goes beyond coverage limits. Late reporting means you’re on the hook financially. The #1 reason for EPL coverage denial is late reporting. As soon as the EEOC notifies the employer of a complaint, the employer should inform their insurance carrier. Often, though, since there’s been no formal lawsuit filed yet, many fail to do so. Eventually, when the lawsuit comes, it may be too late to report the claim for coverage. Key endorsements are unintentionally left off EPL policies. The biggest and most recent addition to EPL coverage has been situational endorsements, the direct result of the recent rise in discrimination, harassment and wrongful termination claims. Without these key endorsements, you won’t be covered for the following claims: Third-party, which covers EPL claims made by non-employees, like vendors or customers; wage and hour, which provides defense costs for employee claims of failure to pay overtime wages and minimum wage; immigration, which covers you for lawsuits brought by a government agency alleging the hiring of illegal workers; workplace violence and employee privacy. Make sure you have prior acts coverage. If you move insurance companies without disclosing a potential claim, the claim will not be covered. Make sure your new coverage has, or you take out a separate, prior acts coverage policy. When moving coverage, you sign a warranty agreement that you’re unaware of any potential incidents that could arise to a claim. Before you sign one, ask your board of directors, managers and HR team to make sure there are no potential discrimination, wrongful termination or harassment claims on the horizon. Package commercial business coverage won’t protect you the way a stand-alone EPL policy will. Typically, the coverage you purchase as part of a catch-all business blanket of policies doesn’t provide the same breadth of coverage as a stand-alone EPL policy. A separate EPL policy will likely have higher limits, broader coverage and less exclusions. Many people believe general liability policies cover employment-related matters. They don’t. GL policies cover you and your employees exclusively for claims related to bodily injuries (not harassment) and property damage. EPL claims have always been an issue of frequency, not severity or sizeable settlements. The issue and challenge going forward for today’s businesses will be to ensure that they have enough money in their EPL policies to defend what could potentially be multiple harassment claims a year. Simply put, all it takes is a few claims, or one class action lawsuit, to wipe out an otherwise well-thought out EPL policy. Talk to your HUB advisor today to find out which endorsements your EPL policy includes. Discuss your industry’s specific risks and liabilities with your advisor to determine if you need additional EPL policy limits or endorsements. Most importantly, make sure you know what you’re covered for.